The day @kaagentladies won their first trophy. Myself and Neville worked with the Gent Womens team on a seperate project called Ladies of Gent. During that period we visited several times and never saw them lose a match - in fact we saw them win three matches. Twice scoring in time added on to win games. We promised them that if they got to the final of the Belgium Women's Cup (the equivalent of the Women's FA Cup here in England) we would return to see the match. Unlike their opponents in the final Anderlecht, they are not full-time professionals - it is probably fair to describe them as being like an American collegiate team. The club looks after the players, ensuring they can study and have a good balance to their development. But they are a close nit group of talented players. In the final they probably played the best we'd seen, they played expansive football using the full width of the pitch to play to their skillful strengths. 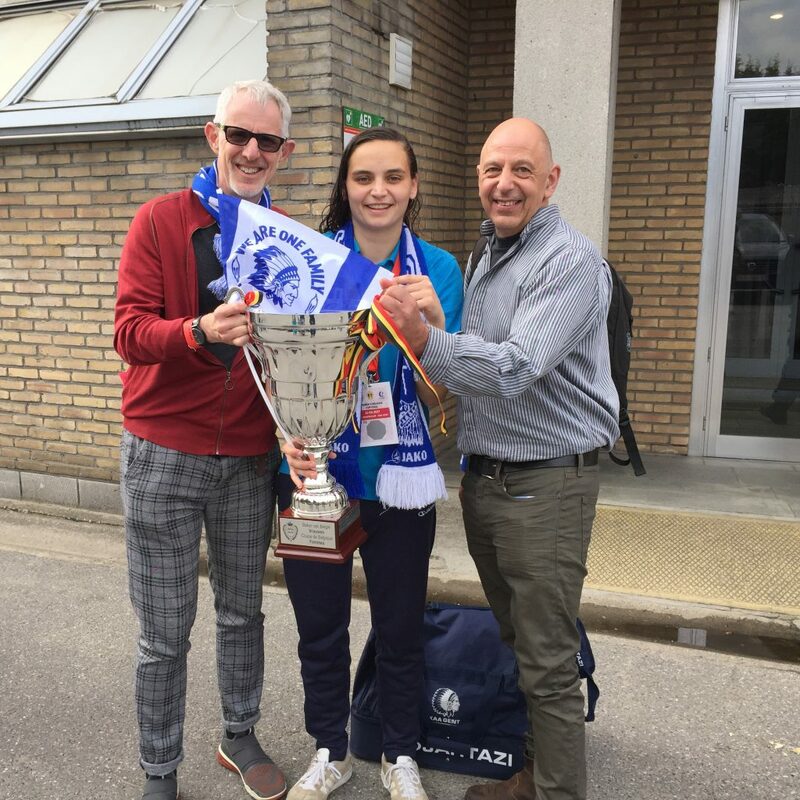 Anderlecht had only one game plan to launch the ball forward to their tall physical striker - that was how they scored but Gent's goals were all team efforts and the best team won - and we were there to witness their first ever trophy. We got our hands on the trophy after the match with their inspirational captain and keeper Nicky Evrard.